Harlequins fullback Mike Brown said he is desperate to make a comeback into the England squad after being left out in the recently concluded autumn internationals. Brown featured in all five games during England's Six Nations campaign earlier this year and the three-game tour of South Africa in June but was dropped for the November series campaign with Elliot Daly slotting at full-back. Jones' side had a fairly successful series where they went on to beat South Africa, Japan and Australia with their only defeat coming against World Champions All Blacks which might tempt the England boss to retain the same combination for the 2019 Six Nations. 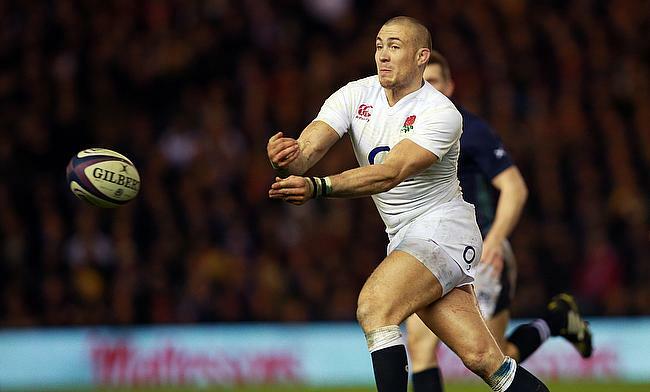 "I am always desperate to play for England," Brown told BBC Radio London. "I have been for however many years and I don't think that will ever change. It never dips or gets small. "But selection is nothing to do with me - that is up to Eddie and Gussy [Harlequins head of rugby Paul Gustard] at Quins." Brown was part of the 2015 World Cup side of England that had a dismal run before eventually becoming the first ever host team to not progress to the knock-out stage. The 33-year-old is keen to make amends with the next edition scheduled to be played in Japan in less than a year but will have his task cut out to return back to the national fold. "That is the drive that keeps me going and why I work so hard - as well as winning things for Quins," said Brown. "I feel great and sharp on the field. I am playing well, I think, so have to keep working on my game." England will begin their Six Nations 2019 campaign with a clash against defending champions Ireland at Aviva Stadium on 2nd February.